Al-Qaeda used to be a unitary centralised jihadist organisation. But post 9/11 it evolved into a decentralised terrorist structure within which it is now possible to identify a central nucleus –known as al-Qaeda Central (AQC) and still located in Pakistan’s tribal areas and adjacent territories in Afghanistan– and a number of branches or territorial extensions. These al-Qaeda branches include, for instance, al-Qaeda in the Arabian Peninsula (AQAP) and al-Qaeda in the Islamic Maghreb (AQIM). Until recently, the Islamic State of Iraq and the Levant (ISIL) –previously an offshoot of al-Qaeda in Iraq and subsequently the Islamic State of Iraq (ISI)– was an official territorial branch of al-Qaeda. But recent disputes between the ISIL and the organisation finally adopted by al-Qaeda as its affiliate in Syria –Jabaht al Nusra– led Zawahiri, al-Qaeda’s Emir, to deprive the ISIL of its status as a branch of al-Qaeda. This shows that jihadist organisations, despite having a common ideology, can cooperate but also compete with each other. The relations between AQC –core al-Qaeda– and its territorial extensions vary markedly from case to case. There is no single model or intensity of interaction, since they depend on the circumstances, the profiles of their leaders and the contrasting strategies with respect to particular conflict zones, among other relevant variables. The Letters from Abbottabad, partly declassified and released by West Point’s Counter Terrorism Center, have very interesting examples of these different connections between the AQC leadership and the directorates of al-Qaeda’s territorial branches. To be an official al-Qaeda branch is qualitatively different from simply being considered an al-Qaeda associate or affiliate. An al-Qaeda branch is formalised only after its Emir pledges loyalty to the Emir of AQC, who then accepts the former’s pledge of loyalty. The process is different from other links between AQC and associate or affiliate entities, which might range from a simple expression of ideological affinity to an exchange of human and material resources or the facilitation of concrete terrorist campaigns and operations. Jihadist entities, however, can decide to associate directly not with AQC but with al-Qaeda’s territorial extensions or branches and thereby only indirectly with AQC. This was clearly evident in the case of the Movement for Unification and Jihad in Western Africa (MUJWA) and Ansar al-Din, both of which became subordinate to al-Qaeda in the Islamic Maghreb during 2012, when they jointly established a Jihadist condominium extending over the north of Mali. In addition to, on the one hand, al-Qaeda as a global terrorist structure, including AQC and its territorial branches, and, on the other hand, the heterogeneous and changing array of their associate or affiliate jihadist entities, there is a third broad component in the current global terrorist network inspired by salafist jihadism. This comprises local independent cells and individuals that lack historical, organisational or personal bonds with any jihadist organisations. 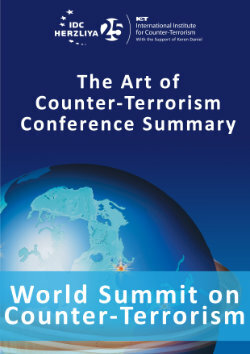 In summary: global terrorism has evolved from al-Qaeda as a unitary centralised organisation to a polymorphous phenomenon. This evolving phenomenon currently includes AQC, its territorial branches, their associate entities and, additionally, independent actors.